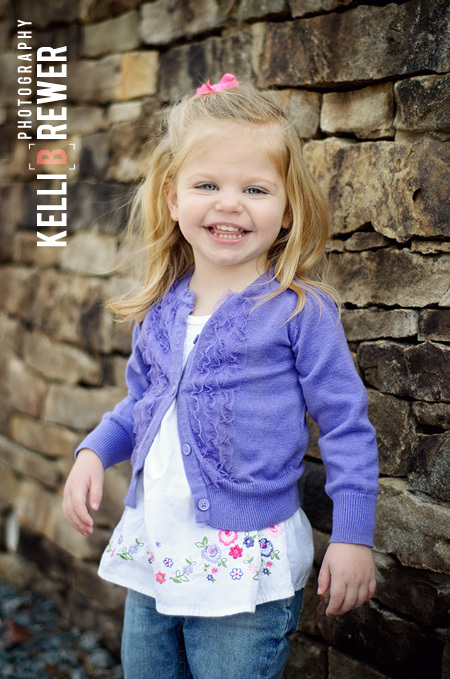 That's right, Kelli Brewer Photograph is expanding! Am I adding a full-time assistant? Moving into a studio space? No - I'm expecting a baby! The biggest change is that I will reduce the number of sessions I take on come Spring. I will limit myself to 2-3 sessions a month, so when things start to warm up and I "reopen" for the season, you'll want to book your sessions early to ensure availability! Will you be taking a maternity leave? Will you return to your business after the baby?? I anticipate beginning my maternity leave the last week of June. This gives me just a little over a month to prepare for the arrival of my 2nd child, whose gender has yet to be determined. I anticipate - and hope - to return to actively shooting sometime in September. I hope that will enable me to work with so many wonderful families again in preparation for the fall and holiday card photos! =) Of course, this is all wishful thinking and many variables could change these plans at any time. It's been a big change for me to experience pregnancy with another one already running around. It couldn't have worked out better that I've been able to experience the hardest months of pregnancy during the quiet, albeit mild, winter season. I look forward to working with you in the Spring and keeping you posted on baby Brewer, 2.0!